From understanding your target audience to meeting the needs of service users, good marketing practice will help improve and strengthen your reputation and raise awareness of the work you do. Our Marketing on a Shoestring Conference aimed to give delegates expert advice from organisations that have direct experience of using limited resources to create big impact marketing campaigns – and here are the top tips we picked up on the day. Putting your audience at the heart of your marketing is key, argued Forster’s Peter Gilheany. He advised charities aiming to change behaviour to use social marketing to find out what their target audiences really think, as this bottom-up approach avoids assumptions about the views of different groups. What do they like and dislike? Who do they listen to? What is stopping them from changing? You can easily undertake secondary research, taking advantage of resources that already exist, from local government sites to service delivery charities. Conducting primary research, for example using focus groups, one on one interviews or vox pops, is also important to successful social marketing. nfpSynergy’s Michele Madden advised delegates on how to organise and run focus groups in-house, asking the question: "Are you clear about why you are doing the research?" The thinking you will do before and after is as important as the focus group itself, and mistakes in planning can result in your time being wasted. Michele warned against overestimating the number of people willing to take part, skewed recruitment and underestimating the timescale of research and analysis. Understanding exactly what each category can achieve for the charity and how they can do this helps Refuge use them more effectively. For example, you can save time and effort by ensuring you understand the editorial tone of your media contacts’ publications and the kinds of stories / evidence they like to work with – tailor your communications to reflect this knowledge. The importance of a number of these assets was echoed elsewhere. Robert Marsh from Combat Stress also flagged up pro-bono agency support as invaluable, explaining that their successful television advert had been made for free. Approaching an agency for pro-bono work and coming to an agreement with them can be difficult, but Janqui Mehta suggested that being honest about what you want and emphasising what you can offer can help you. Remind agencies that you could give them the opportunity to be more creative and inventive than other commercial campaigns might allow. When it comes to getting things for free, don’t underestimate the importance of knowing the right people; building up your contacts can be of huge benefit to your organisation. 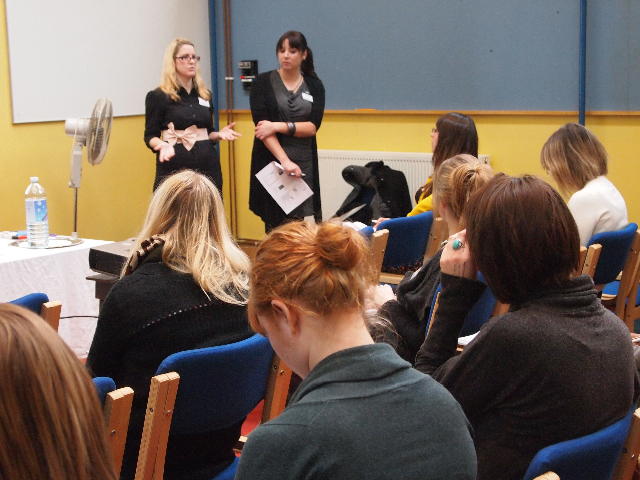 Networking is an extremely valuable skill, argued The Centre for Strategy and Communication’s Tess Woodcraft – so make sure you are well prepared. Ensure you have a succinct and interesting explanation of your organisation’s work and your job role. Also remember that listening is as important as confident speaking for making an impression. Make sure you always have questions to ask – show people that you can listen and that you are interested in what they have to say. Throughout the day there was, of course, a focus on understanding external audiences and how to communicate your messages to key audiences outside your organisation. However, good marketing practice reaches internally as well as externally – your communications will be strengthened by improving the skills and knowledge of your staff. Having decided to utilise Twitter, Breast Cancer Care held training sessions to get their staff – including their CEO – involved in the medium, and produced social media guidelines. If that wasn’t enough, the top tweeter of the week gets sent Twevor, a small stuffed canary, to sit on their desk as a reward for their efforts. Find more tips by looking at presentations from the day here.